At Gleneagles Penang, the clinical outcome and comfort of our patients is always our top priority! Pantai Hospital Kuala Lumpur is located in Bangsar, a bustling district located in the outskirts of Kuala Lumpur and close to the city of Petaling Jaya. Ara Damansara Medical Centre is an award-winning, 220-bed multidisciplinary private hospital in Selangor, Malaysia, providing exceptional patient care at the forefront of medical practice in the region. 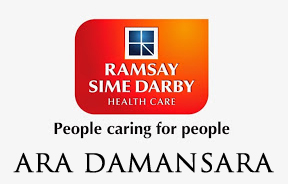 At Ramsay Sime Darby Health Care, we’re passionate about delivering exceptional patient care. As a leading private healthcare group we offer outstanding private healthcare for patients from Malaysia, Indonesia and from around the globe.